Speaking at the Tupperville, Annapolis Co. Community Hall on May 9, 2017, forest ecologist Donna Crossland reiterated her oft repeated criticism of NSDNR’s claims that its harvesting methods mimic natural disturbances. It simply isn’t true, she says, as reported in the Digby Courier. 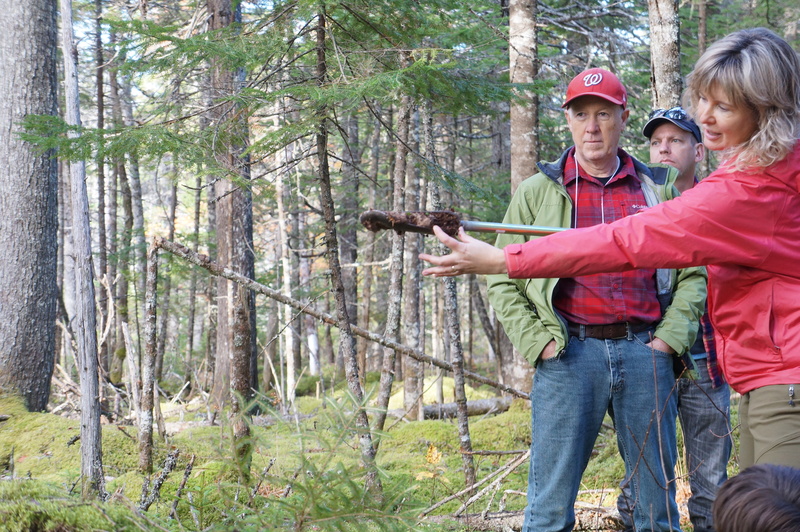 She talked about the short rotations and how “diverse old-growth, hardwood trees – red spruce, eastern hemlock, yellow birch sugar maple and beech – are nearly gone, unable to survive the current clearcutting regime”. Read more in an article by Sara Ericsson in the Digby Courier May 10, 2017. 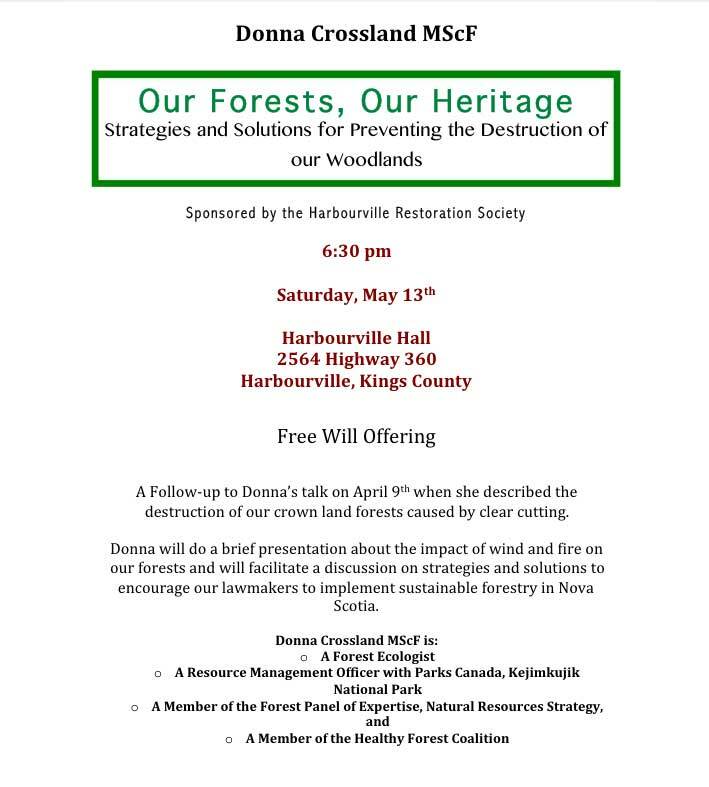 Donna Crossland will be talking again at Harbourville Hall, Kings Co. 6:30 pm Sat May 13, 2017 on Our Forests, Our Heritage. This entry was posted in clearcuts, Show Us the Science. Bookmark the permalink.